To celebrate the hotly-anticipated game release of Resident Evil™ 2 on 25th January 2019, Capcom has today announced the opening of an immersive bar based on the series’ infamous Raccoon City Police Department (RPD). Following a storyline inspired by the iconic game, the Resident Evil™ 2: Safe House, opens for two days from the 25th to the 26th January 2019. Guests will be encouraged to take shelter in the last safe area of Raccoon City and get their hands on the real-blood antidote to save them from the devastating T-virus sweeping the city, alongside settling their nerves with other classic Midwest American cocktails, beers, wines and rations. Resident Evil™ 2: Safe House Experience & Bar – feeling brave enough to make your way through a derelict RPD following the Raccoon City outbreak of the devastating T-virus? Want to put your survival instincts to the test in a bid to reach the last remaining safe area? Visit the website to find out more and book your slot. Resident Evil™ 2: Safe House Bar – each day there will be a selection of walk-in spaces available for the Resident Evil™ 2: Safe House Bar only. Visit the website to find out more. 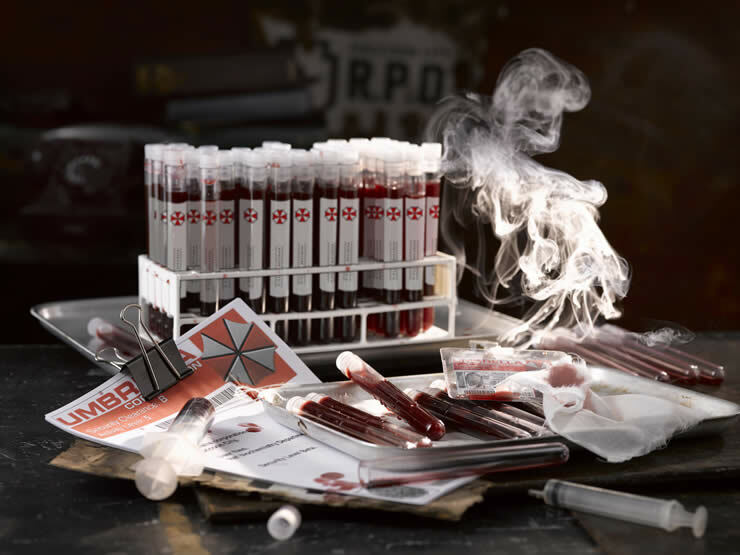 Resident Evil™ 2: Gaming Stations –keen to get your hands on the latest demo of the Resident Evil™ 2 game? There will be a selection of Resident Evil™ 2 gaming stations situated on the ground-floor of RPD, available on a walk-in, first come first served basis only.